Photo by Tina Schlau of Cheektowaga. Autumn keeps hanging on in the Buffalo area. My niece Carrie picked a rose from her garden last week! 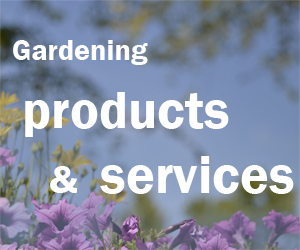 Unfortunately, we know that wintry weather is inevitable, and our outdoor gardening will soon come to an end. Don’t let it get you down, though. 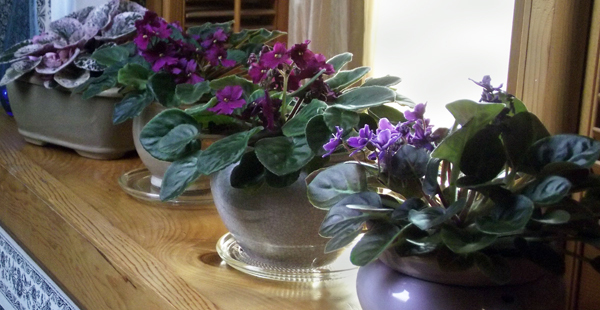 When we lose our outdoor flowers, it just means we have more time for our indoor blooms, such as African violets. 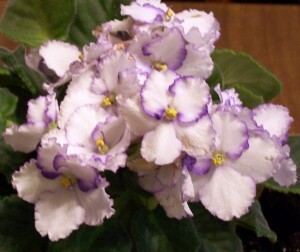 If you’ve never grown African violets, or if you haven’t grown them well, check out these basic care instructions that the African Violet and Gesneriad Society of Western New York has shared with us. You don’t need a green thumb to grow African violets, the society says. Just provide consistent care and you’ll get lovely plants. These instructions are very thorough, but if you want to learn more about African violets, you can attend a meeting of the group. Everyone is welcome. To maintain abundant bloom, adequate light is essential. If you grow by natural window light, the more light the better. Do not expose your plants to direct summer sun, but mild winter sun, or light filtered thought sheer curtains, is safe. African violets grown in direct window light should be given a quarter-clockwise turn every few days or so to maintain the plant’s symmetry. Proper watering is necessary for the culture of any plant. Any drinkable water can be used and should be slightly warmer than room temperature. Do not use cold water, and never use water from a water softener. Over watering can be as deadly as under-watering. Water only when the top of the soil is dry to the touch. If watering from the top, water until the water runs out of the drainage holes in the bottom of the pot. Do not allow your plants to sit in water. Take care not to allow drops of water to remain on the leaves or in the center of the crown. A paper towel or a dental sponge will soak up any excess spills. If you are watering by filling the saucer, remove the water after the plant has drawn up sufficient moisture. Another essential for good growth and bloom is proper nutrients. Many growers use Peters’ 20-20-20, or Peters’ African Violet special 12-36-14 at the rate of 1/4 teaspoon per gallon of water. This solution may be used with every watering. This is called the constant feed system, and ensures that nutrients are always available to your plants on a consistent basis. Every fourth watering, you should apply plain water from the top to leach out any accumulated fertilizer salts. African violets like the same temperatures that you do: 68-75 degrees Fahrenheit. A humidity of 40 to 50 percent is ideal. Cold drafts are to be avoided. However, your plants will benefit from fresh circulating air. A fan helps in the summertime. Your potting mix should be light to allow for the free passage of air and water. A soil-less mix works well for most growers. It is made by mixing one large coffee can of milled Canadian peat moss or Pro-mix, one large coffee can of coarse vermiculite, one large coffee can of horticultural perlite, and one cup of horticultural charcoal. Mix and dampen with warm water. The size of the pot you use is dependent upon the size of your plant. The pot diameter should be 1/3 of the diameter of the plant. Miniatures should stay in 2 ½-inch pots, and most standards will eventually grow into a 4- to 6-inch pot. Plastic pots are best, not clay pots. Plants should be re-potted every four to six months. 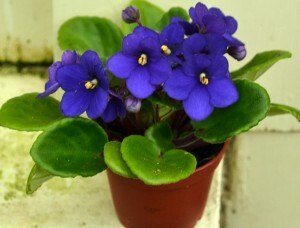 It is important to keep the leaves of your African violet clean because the plants breathe through their leaves. A soft artist’s paintbrush is useful for dusting the leaves and removing soil particles. The leaves can also be washed with a gentle spray of warm water. Take care not to get the water in the crown. Remove any excess water from the leaves with a soft paper towel or dental sponge. Allow the plants to dry before moving them to a window or bright light. Mildew is a fuzzy growth on flowers and foliage that can be controlled by fresh circulating air. Dab the spot of mildew with a little garden sulfur and remove it with a soft brush. Pests are not usually a problem unless brought in from the garden on cut flowers, pets, your clothing, or from a new infested plant. Isolate new plants from your violet collection for 2 months. Great article but not enough about repotting. Do you use the same pot but just change out the soil? Do you need to clean the pot and with what? it to you. Your email address will not go any further than me. I think that all growers have experienced a period when our plants just have to take a “blossom break”. It is great to see them come back to color in the spring. I have found that the sun reflecting off the snow is sufficient to continue to encourage the plants to keep blossoming. 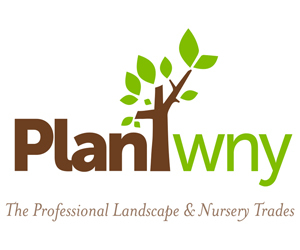 Our Show is in the spring and most of our plants must be in blossom to show them. there is a process of removing all blossom buds about 12 weeks before the show and then letting them come into full bloom in time for the show. If you would like information on this, please send me your email address and I will be happy to send it to you. I have grown violets for years and it always happens. A color and petal detail hard to find always dies. I can start the little devils new just from cuttings, so what am I doing wrong? Lois, you should direct your question to the African Violet and Gesneriad Society at http://www.gesneriadsociety.org/chapters/WNY/index.htm. Hope that helps!